In 2015, to celebrate the long-awaited next chapter in the Jurassic Park franchise, LEGO teamed up with Universal Pictures. Together, they would create a LEGO theme 65,000,022 years in the making: LEGO Jurassic World. The Jurassic World theme was not a continuous release, though. Once the hype for the film died down, the theme was discontinued. It then started up again in 2018 to time with the release of Jurassic World: Fallen Kingdom. This pattern will likely continue with the upcoming Jurassic World film. Until then, though, here are our picks for the best LEGO Jurassic World sets. As soon as I heard that the premise of Jurassic World was about scientists making a genetically engineered dinosaur, I knew it was going to end badly. As it turns out, they took a Velociraptor and made it the size of a T-Rex. We knew that it was going to get out, but it was even worse than we thought. 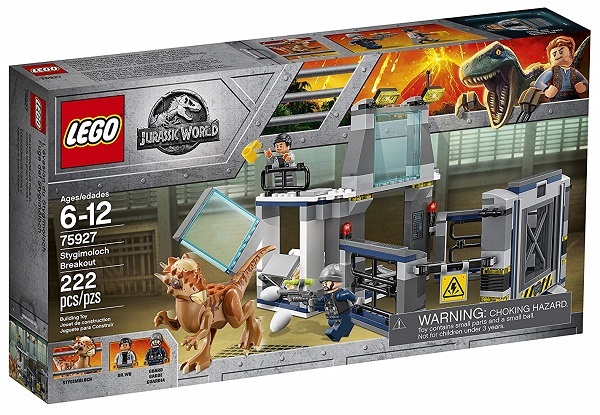 Now we can recreate that mayhem in the Indominus Rex Breakout set. 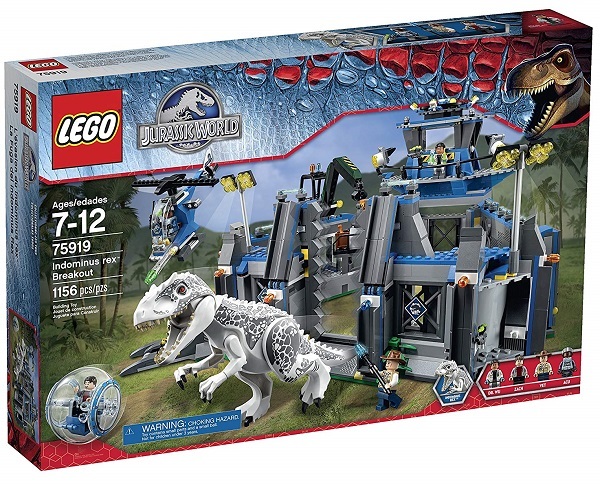 This 1,156 piece set recreates the moment when the Indominus Rex (or as I call it, the Mega-Raptor) escapes its prison. At 8″x12″x15″, this set is a paradox: so big, yet so small for such a large dinosaur. The I-Rex is 6″ tall, after all. The helicopter included measures 2″x5″x1″, not counting the rotors; the pallet is 1″x1″x1″; and the gyrosphere is 2″. In spite of the size and piece count, it is not that complicated a set, suited for its age range of 7 to 12. The real draw, though, is the I-Rex itself. It’s as scary looking as it is in the movie, and thanks to the pen’s breakout function, it can bust out with ease. The staff, including Dr. Wu, an ACU trooper, and a vet, can watch everything from their research tower, but they can’t do much to stop it. At least the tower has some cool decorations. Interestingly, it also includes teenager Zach Mitchell in a gyrosphere, even though he was not present in that scene. This is the only set in the theme to have the big bad of Jurassic World, the Indominus Rex, included. Since the I-Rex is the cause of the movie’s events that makes it a big deal. The inclusion of the gyrosphere, while breaking with the film, is a nice touch. That does not matter in the face of a dinosaur, though. The I-Rex may not have been the most original dinosaur that the movie could have come up with, but it was still scary. It single-handedly brought down the entire park and caused hundreds of deaths. 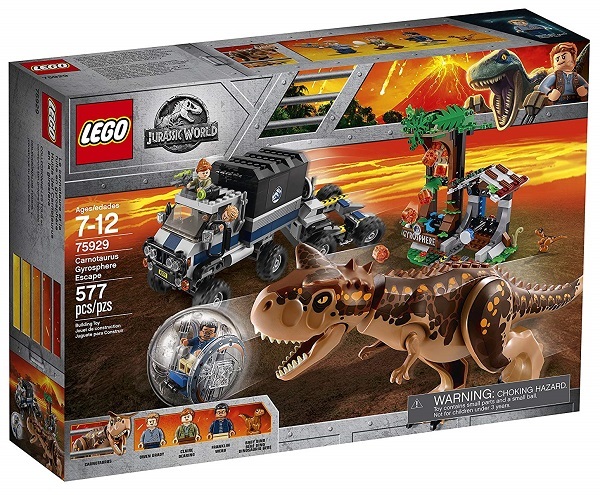 It’s one of the best LEGO Jurassic World sets, so it should be a centerpiece to the whole theme! Jurassic World: Fallen Kingdom was about saving as many dinosaurs from an erupting volcano. Surprise, surprise, they were only rounded up to be sold at an auction. Some of them, though, became subjects of Dr. Wu, the man who brought Dinosaurs back from extinction. He kept them in a laboratory until the heroes used a Stygimoloch to escape. This set is 222 pieces and measures at 5″x7″x9″. It is a sparse set, split between the dinosaur enclosure and Dr. Wu’s lab. The lab includes an observation deck, ladder, workbench, windows, and floodlights. It even has two dinosaur eggs. The other half is the dinosaur enclosure, featuring the Stygimoloch. The Stygimoloch is the main attraction of the set, with its posable limbs and head. Dr. Wu is also there, but he is not as cool as the dinosaur. This set is a modest size thanks to its brick count, so it is not that hard to build. The inclusion of the dinosaur is the main appeal for kids ages 6 to 12. The main benefit to this set is that it has a dinosaur included in it. This is a nice little set that helps to bring more of the dinosaur magic home, but it is meant for smaller kids. The main draw is the dinosaur, but not much else. Fun fact: Velociraptors were nowhere near this big in real life. They were likely the size of a large turkey and had feathers on them. However, they were every bit as smart and deadly as they were in Jurassic Park. The Velociraptors in the original film were terrifying to see in action, and this set reminds us of that. More than that, though, it serves as a way of commemorating the 25th anniversary of the original film. At the climax of the film, Dr. Grant, Dr. Sattler, and Hammond’s grandkids are cornered by the alpha raptor, The Big One. What follows is a desperate chase through the visitor center as they try to escape. So, bring back that excitement for kids! Other accessories include something the cast wishes they had a gun. Granted, it is a stud-shooting gun, but it would have been a big help against the Raptors. Dr. Grant and Dr. Sattler are both there to help the Murphy siblings escape, but the great minifigure is The Big One. She is a bad raptor, and he can open doors! Of course, that is because the set has a lever to do that for her. This set says that it is for ages 7-12, but let us not kid around. The people who saw the original film as kids when it came out are as likely to get this set. It was a good movie! This recreates the climax to the hit movie, and it does it in a compact set. The accessories add to the sense of realism and excitement. The big draw, though, is the velociraptor with its posable limbs, head, and snapping jaws. Dinosaurs are awesome. This recreates one of the best scenes from one of the best movies in history, and it comes out for its 25th anniversary. 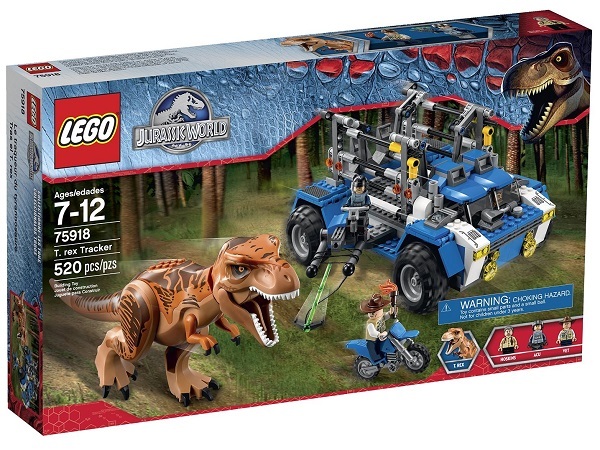 This is one of the best Jurassic World LEGO sets and a must-have for any Jurassic Park fan! People may not know what this dinosaur was, but I do. It’s a Carnotaurus, a carnivore from South America and the main antagonist to Disney’s CGI film Dinosaur. This dinosaur was as scary to me growing up as a T-Rex, so I was happy it was in Fallen Kingdom. Then it got taken out by the T-Rex. Well, it’s eruption time, so everyone left on the island is running for their lives. Claire and Franklin managed to get inside an undamaged Gyrosphere, while Owen’s left running. Then the Carnotaur spots them and, for some reason, wants to eat them instead of running. Aside from the large station, the main accessories are a dinosaur nest and five bricks meant to be lava, complete with a launcher. The Gyrosphere station has a function that lets you launch it as well. As for minifigures, we have Owen Grady, Claire Dearing, and Franklin Webb. The Carnotaurus is cool because it has posable limbs and snapping jaws for extra interactivity. 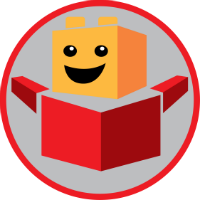 This set is for ages 7-12, so it will not end up being too difficult to build. We get a lot of accessories and launchable items from this set, three of the film’s main characters, and a giant dinosaur to boot. This is a good set for anyone wanting to recreate that eruption scene in the first act of Fallen Kingdom. There may have been a missed opportunity to add in the T-Rex, but the imposing sight of the Carnotaurus makes up for this in the end. I would get the set. SAY HELLO TO OUR STAR ATTRACTION, T “TINA” REX! The T-Rex is one of the most famous dinosaurs of all time. At one point, it may be every kid’s dream to have one as a pet. Therefore, when they saw the one in Jurassic Park, people freaked out. Good news is that that same T-Rex comes back in Jurassic World and Fallen Kingdom. There are three minifigures in this set: Claire Dearing, a guard, and a scientist. The T-Rex, meanwhile, features posable limbs and an opening jaw, so that adds to the fun. Aside from the star, there is also a baby dinosaur and dinosaur egg included. Other accessories include walkie-talkies, a tranquilizer gun, and a hot dog to use as bait. Because, why not? The main draws to this set are the gate and the T-Rex. The gate recreates the famous gate seen in Jurassic Park, and the T-Rex is self-explanatory. Think of the fun to be found releasing that animal out of its cage! 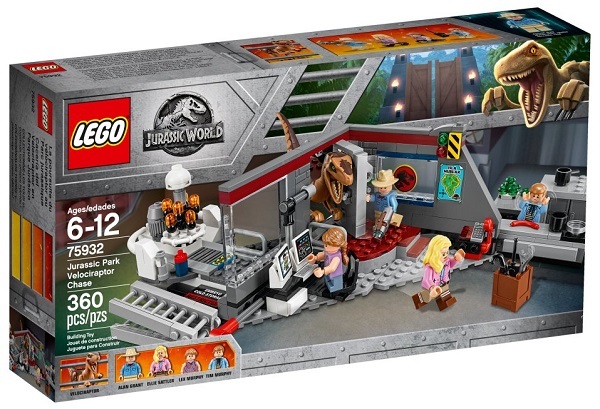 This is a small set and is very much meant to get kids into LEGO and Jurassic Park. Kids will enjoy the T-Rex present in the set, and if they have more than one from the theme, they can have Dinosaur fights! How cool would that be? This set is not based on the Jurassic World movie, so I can assume that it was a concept that did not make the final cut. The T-Rex has broken out of its cage and is running amok, and it is up to the ACU to stop it in the T-Rex Tracker. For a set made out of 520 pieces, The T-Rex Tracker looks bigger than it is. In truth, its only 6″x8″x3″, making it of decent size. The Tracker has an open cockpit for minifigures to drive it, a cage, and a harpoon trap shooter. Combined with a tranquilizer gun, the trap shooter will knock the T-Rex out long enough for it to be secured in a cage. As for the bait, there is a motorbike that is driven by one of three minifigures: the vet with his torch and hat, Vic Hoskins, or an ACU trooper with his tranquilizer gun. As for the T-Rex itself, it stands at 5″ tall and features a lot of posability. Its arms, legs, neck, and jaw are all capable of movement. That can be a massive help to people looking to have as much fun as possible. The set is going to be average in difficulty, due to it being for ages 7 to 12. Like most LEGO sets, though, the age does not always matter. Adults can build and play with these as much as kids can. Two primary benefits come from this set. First, it has a vehicle that we did not see in the actual film, letting it expand on the franchise. Second is the T-Rex itself. With six points of articulation, there is plenty of room for people to make the T-Rex pose for action scenes. That is a good deal for a set. This may not be the best suited for adults, but there are not that many sets in this theme that are. 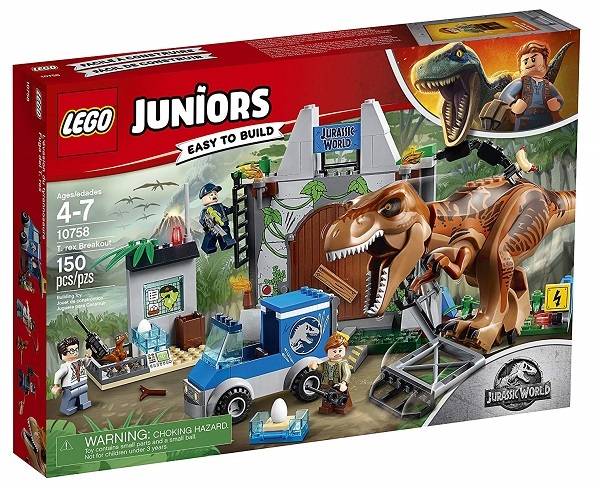 Given what it promises though, this is among the best LEGO Jurassic World sets available for the older fans. If you want a new vehicle and a famous dinosaur to boot, then this is the set for you. *I could not decide which of the two categories this was best for, so I chose both. It looks like people did not learn the lessons of Jurassic World, because Dr. Wu made another abomination. Meet the Indoraptor, all the killing intent of the Indominus Rex packed into the size of a Velociraptor. A hideous, unholy package. Like the Indominus, the Indoraptor manages to escape in the film’s climax and wreak havoc. It is up to Claire, Owen, and Blue to protect Lockwoods granddaughter and take down the monster. At 1,019 pieces and measurements of 8″x6″x8″, this set is smaller than you think it would be. All the detail is put into creating the front of the mansion, and then the essentials on the inside. The set says the walls are configurable, so it does make an effort to make up for it. Like in the movie, the windows can get smashed open. The roof can even collapse thanks to a built-in lever. Use it to send the Indoraptor to its death by impalement on the buildable Triceratops skull, like in the movie. On the inside, the mansion is split up into three levels. On the top, we have Maisie Lockwood’s bedroom, then the lab on the second floor, and the museum with display cases. As a bonus, the lab comes with a baby velociraptor and dinosaur egg. To fight the Indoraptor, weapons include an axe and a tranquilizer gun. There are more than eight minifigures in this set; nine if you count the baby dinosaur. There are Owen and Claire, Maisie Lockwood, Ken Wheatley, Gunnar Eversol, and Eli Mills. On the dinosaur side, we have Blue the Velociraptor, and the Indoraptor. A good old fashioned Dinosaur fight! Despite the number of pieces in it, this set should not be that hard to create. Most of the difficulty will come from building the walls and roof, but not much else. The fact that it is meant for ages 8 to 12 reinforces this point even more. The main benefit of this set is the number of pieces and minifigures that are a part of it. Eight minifigures is a lot for one set to have, especially in one of this size. Considering two of the figures are dinosaurs, that is an even better deal. What’s more, Blue and the Indoraptor both have posable limbs, heads, and jaws. That is cool! This set might not be as big as it can be, but it still has a decent amount of fun to offer to customers. It has the dino big bad of the Fallen Kingdom and Blue in it, so that is always a good thing. Add in the details like the collapsing roof and the breakable windows, and it is golden. 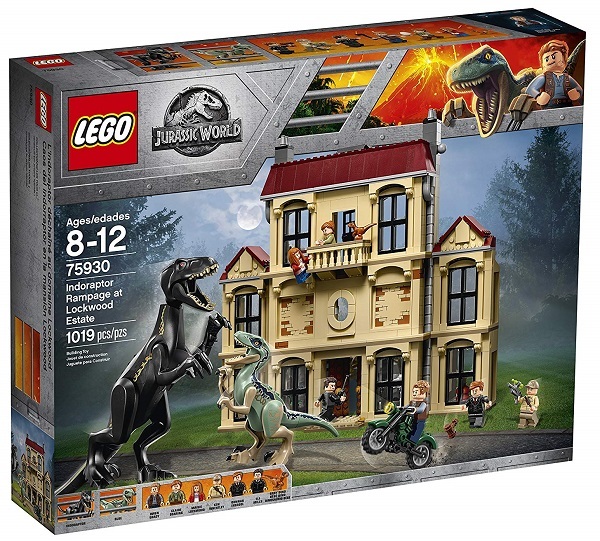 Find the 7 best LEGO Jurassic World sets based on price ranges and build level. Also find the most suitable Jurassic Park LEGO set toy for kids and adults.